QUESTION: WHO IS MICHAEL ORCUS? To get you in the mood, below are a couple of snippets from two of William’s books. riders. Ariel falls to his knees as the sky rumbles. library to stand close to the angel. “It was at the bidding of your master,” he tells her. unholy sound chills the angel’s soul. has already vanished from his sight. 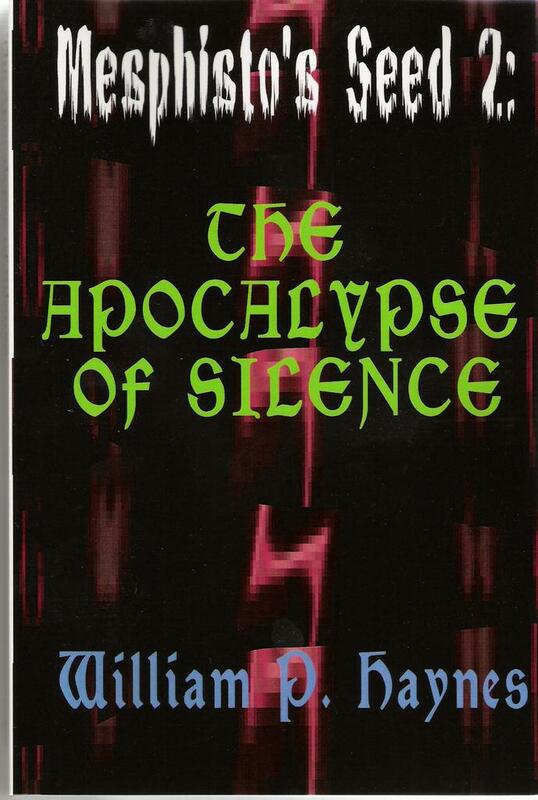 Taken from The Apocalypse of Silence. possibly final book in the Mesphisto Seed series, which William P. Haynes is currently working on. laughs and the tenor dampens his soul. “You look surprised to see me, Mark?” the devil whispers coldly. devil’s specter is gone from James’ sight. Michael Orcus follows the wolf through the breach in the castle wall. before Michael is older than many of the gods themselves. laughs a cruel laugh and then he works an incantation from Satan’s tome. ghostly form of Mesphisto upon the throne departs further from life. He looks out over the wastelands he has ruled for all of eternity. Orcus stares back at him.